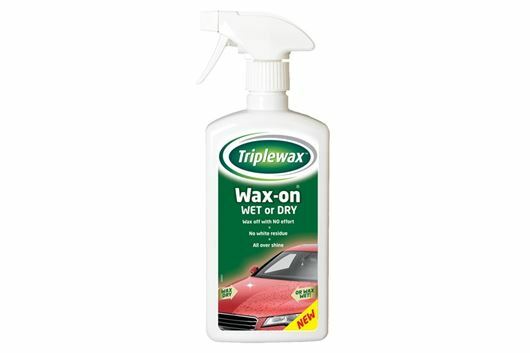 Triplewax has introduced a new spray-on car wax that can be use on wet or dry car bodywork. Called Wax-On, the product uses a mix of traditional carnauba wax and an advanced polymer to create a high-gloss finish, but with easy application. Wax-On is sprayed directly onto bodywork from the bottle, then wiped over before being buffed. It leaves no residue on black or plastic areas. Triplewax Wax-On is available now, priced at £5.